Human beings will produce a lot of garbage every day. Without recycling and re-using, the arbitrary disposal of garbage will cause serious environmental pollution. Waste segregation machine, a high-tech equipment refers to automatic classification of mixed garbage, can carry on the follow-up comprehensive treatment and re-use of garbage, and realize the target of garbage zero landfill. Whether it is mixed with the collection of municipal solid waste, food waste or stale rubbish, the sorter machine can achieve the automatic, fast and effective separation of plastic, paper, organic matter, batteries, bricks and stones, and other physical components in the garbage, for the next step of recycling and re-using. The newest garbage sorting machine has changed the cumbersome pre-treatment process of traditional garbage sorting, saved a lot of artificial sorting cost and equipment investment, and realized the maximization of garbage resource utilization and zero landfill target. At present, the solid waste disposal methods mainly use sanitary landfill or even simple landfill way, which occupies thousands of acres of land, and causes insect flies flying, sewage overflowing, smelly, serious pollution of the environment. Therefore, the separation of solid waste can reduce the amount of waste disposal and waste processing equipment, processing costs, consumption of land resources, with three benefits: social, economic, ecological. The classification of garbage can be finished according to the recyclable and non-recyclable materials. Some of the materials in the garbage can not be easily degraded, which makes the land seriously eroded. Removing the materials that are non-recyclable or difficult to degrade, the garbage sorting can reduce the amount of garbage up to 80%. The waste batteries contain metal mercury, cadmium and other toxic substances, and will cause serious harm to humans; waste plastics in the soil will lead to the reduction of crop production; if the abandoned waste plastic is eaten by animals, it will lead to death. So garbage recycling plant can reduce the harm and pollution. Municipal solid waste is considered to be the “urban mineral” that has the most development potential and never exhausted, which can be said “misplaced local resources”. Through resource processing. The garbage will create great resources and profits. The disposal and recycling of municipal solid waste is the technical guarantee and material foundation of environmental protection, and also is one of the new economic growth points in the future economy with the most development potential. The garbage industry has unlimited business opportunities. According to the experience and development trend of waste treatment in advanced countries, with the emergence of new industries and the progress of waste disposal technology, the garbage will be reclaimed and has huge economic benefits. The waste separation machine has abandoned the traditional sorting process concept and changed from the principle of implementation. 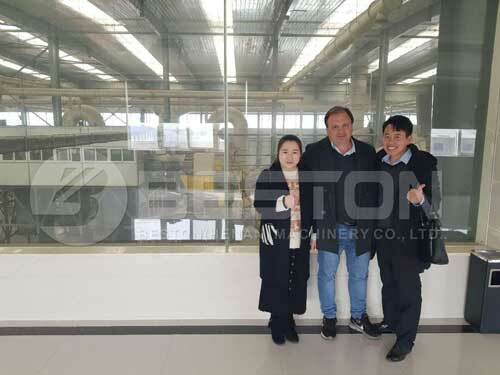 It has adopted the original fuzzy recognition technology, simulation of the robot as the core technology to achieve automatic segregation of waste. 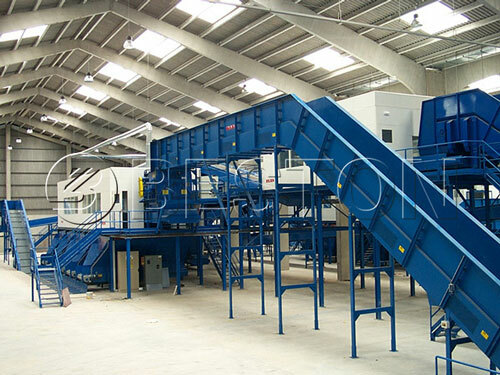 According to the different garbage components, the follow-up approaches of garbage, the devices and parameters of the waste sorting plant can be adjusted at any time, to meet the sorting needs. 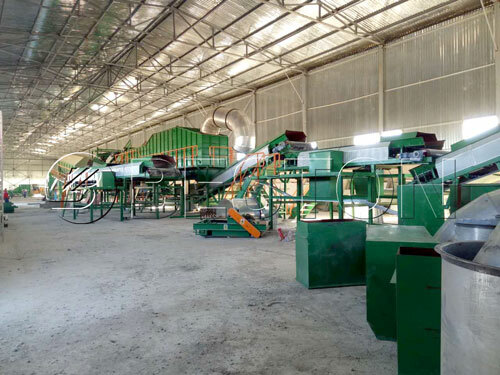 The waste sorting machine mainly includes municipal solid waste sorting machine, household waste management project, urban solid management project, etc. According to different handling capacities, the machine has four models available for your choice. The machine is suitable for the garbage collection station, garbage transfer station, garbage disposal plant, garbage composting field, garbage incineration field and other places where the garbage is concentrated.